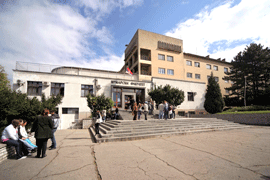 The Faculty of Forestry of the University of Belgrade is the oldest and the highest scientific institution of higher education in the fields of forestry, wood processing, landscape architecture and horticulture and ecological engineering for soil and water resources protection in Serbia. The studies of forestry started on 5th December, 1920 at the Department of Forestry of the Faculty of Agriculture in Belgrade, which means they have a long and rich tradition. Graduate engineers from the Faculty of Forestry have made numerous successful achievements in the relevant fields in the country, eminent foreign companies, organizations or they work at famous universities worldwide. The Faculty of Forestry has as a part of its educational program primary and graduate academic studies, specialised and academic studies as well as doctoral studies. As a part of permanent education the faculty organizes knowledge innovations, professional improvement trainings and education of experts of various specializations. There have been significant changes in the concept of global forest policy from those economically oriented to the ones emphasizing the ever growing ecological, social and cultural functions of forests and forest areas. The Faculty of Forestry with its system of studies keeps up with the changes in biological, economic and social processes as well as technological achievements and their application in the sustainable development of national natural resources. Consequently, the studies at the Faculty of Forestry are complex, composed of a combination of science, practice, politics, economics and culture. The reform of the curriculum and the educational program of the Faculty in accordance with the law on higher education of the Republic of Serbia was started on the basis of acceptable changes initiated by the Bologna Process. The change to Bologna system implies three levels of studies. A level of studies is an integral study program and its completion provides a certain qualification. Each of the levels of studies carries a corresponding number of ECTS credits. The Faculty of Forestry accepted the structure of studies: 4+1+3. The first level of studies (Bachelor) are undergraduate academic studies. This level is in the first place relevant for the labour market. Within the study program of the first cycle students do not only acquire theoretical knowledge but also obtain the necessary general and professional competences to continue into the second level of studies. In all study programs of undergraduate academic studies classes last for 4 years after which students acquire 240 ECTS credits and the professional title forest engineer in the fields of: Forestry, Wood Processing, Landscape Architecture and Horticulture and Ecological Engineering for Soil and Water Resources Protection. The second level of studies- master is graduate academic studies. They last for one year and the student obtains 60 ECTS credits. 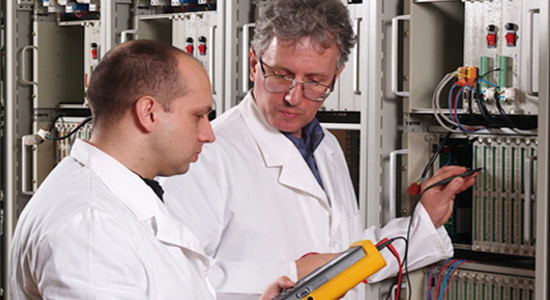 Master’s degree means a certain level of specialization as well as being qualified for research. In this regard master is also an introduction into the third, doctoral level of studies. By defending their Graduate master Paper students obtain the academic title: graduate forest engineer in the fields: Forestry, Wood Processing, Landscape Architecture and Horticulture or Ecological Engineering for Soil and Water Resources Protection. The third level of studies- PhD is doctoral studies. They last for three years and the students obtain 180 ECTS credits. Doctoral studies became an integral part of the Bologna process only after the Berlin summit in 2003 when the need for the creation of a European Research Area was specified, which meant bringing systems of doctoral studies at universities in Europe into accordance. The aim of the reform is improvement of competitiveness of scientific and educational fields at the same time preserving the ninety- year-long traditional values. Besides keeping the values based on national and cultural features that enrich the European academic educational field, the aim of the reform of the scientific and educational work at the Faculty is also the protection of natural heritage, sustainable utilization of natural resources on ecological grounds and generally environmental protection with the application of modern technologies. The development of all forms of educational and scientific work particularly means taking due care of creating new generations of young scientific workers. An open approach of the faculty towards all relevant institutions in the country and abroad means organizational, institutional strengthening, strengthening of professional skills, responsibility, specificity and loyalty. We congratulate the students who enrolled in the Faculty of Forestry at the University of Belgrade with the new curriculum on their choice and we wish that their wishes come true as soon as possible hoping for them to become graduate forest engineers of forestry, wood processing, landscape architecture and horticulture or ecological engineering for soil and water resources protection.